According to a press release by Christian Solidarity Worldwide (CSW)—a ministry devoted to demonstrating solidarity with the persecuted Christian church—Eskandar Rezaie and Roxana Forughi were both sentenced to one-year prison terms. However, Shahin Lahooti and Suroush Saraie were slapped with two-and-a-half years each, Mehdi Ameruni and Bijan Farokhpour Haghighi were both given three years, and Mohammad Roghangir was sentenced to six years behind bars. As stated in the release, seven of the Christians were arrested in October 2012 during an evening prayer service, and the eighth was incarcerated six days later. 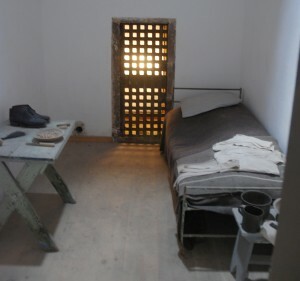 Until the group paid heavy bail amounts, they were kept at “Plaque 100”—a detention center known for its harsh treatment of prisoners. Now that they have been released, the group is planning to appeal their charges. Meanwhile, Christian leaders are decrying the Iranian government’s actions, asserting that the eight individuals were not conducting any illegal activity. Especially aggravating were the enormous bail totals—according to Morning Star News, the amounts ranged from approximately $80,000 to $200,000. To cover the expenses, many family members and friends put down title deeds to their homes. Mervyn Thomas, the chief executive of CSW, is demanding the immediate release of the eight innocent Christians. According to Mohabat News, three of the Christian prisoners wrote a letter to the newly-elected Iranian president, Hassan Rouhani, urging him to protect their religious freedoms. Thomas echoed similar sentiments, contending that religious liberties are fundamental rights all citizens of Iran should enjoy. This incident does not mark the first time Iranian officials have been criticized for cracking down on Christians. As previously reported, American Pastor Saeed Abedini is still behind bars in Iran as he serves an eight-year prison sentence. Though his only “crimes” were planting house churches and sharing the Gospel with Muslims, he is currently incarcerated in Iran’s notorious Evin Prison.